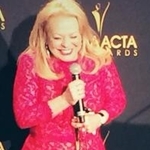 ABC and Foxtel were the big winners in the television categories of the 8th annual AACTA Awards, held at the The Star Event Centre in Sydney over two events — a non-televised presentation held on Monday afternoon (pictured above), hosted by Kat Stewart and Nazeem Hussain, and the televised ceremony on Wednesday night, hosted by Stephen Curry. 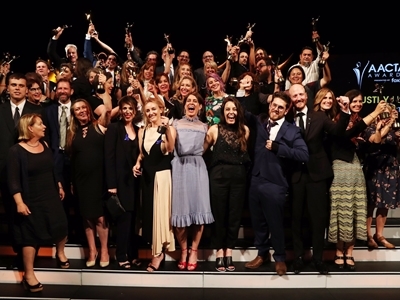 Mystery Road, Riot, The Weekly With Charlie Pickering, Employable Me and The Letdown were among the winners for ABC — with Riot stars Damon Herriman and Kate Box winning Best Lead Actor and Best Lead Actress respectively. Foxtel’s winners included Selling Houses Australia, Picnic At Hanging Rock, Sky News and Fox Sports, plus individual awards for Shaynna Blaze, Andrew Winter and Scott Ryan. Network Ten collected awards for Australian Survivor: Champions Vs Contenders and children’s program The Bureau Of Magical Things. 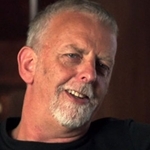 The SBS series Safe Harbour won two awards. The Seven Network (which televised the ceremony) and the Nine Network did not pick up any awards. Among the streamers, Hannah Gadsby was a winner for Netflix and Romper Stomper for Stan. 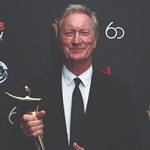 Actor Bryan Brown was awarded the Longford Lyell Award for his outstanding contribution to Australia’s screen environment and culture. Brown made his film debut in 1975 and has starred in a long list of films and television series. 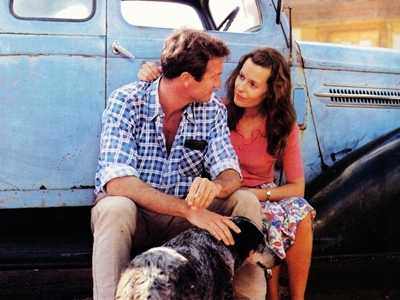 His TV credits include A Town Like Alice (pictured below with Helen Morse), The Shiralee, Against The Wind, The Thorn Birds, Eureka Stockade, Twisted Tales, The Good Wife, Better Man, Old School and the upcoming series Bloom. 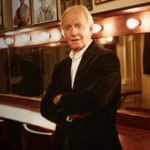 In 1989 he was inducted into the TV Week Logie Awards Hall of Fame. First awarded in 1968, previous winners of the Longford Lyell Award include Ken G Hall, John Meillon, Peter Weir, Jack Thompson, Charles ‘Bud’ Tingwell, David Stratton, Patricia Edgar, Ray Barrett, Reg Grundy, Patricia Lovell, Jacki Weaver, Andrew Knight and Paul Hogan. The AACTA Awards began in 2011 as the successor to the AFI Awards, dating back to 1958.